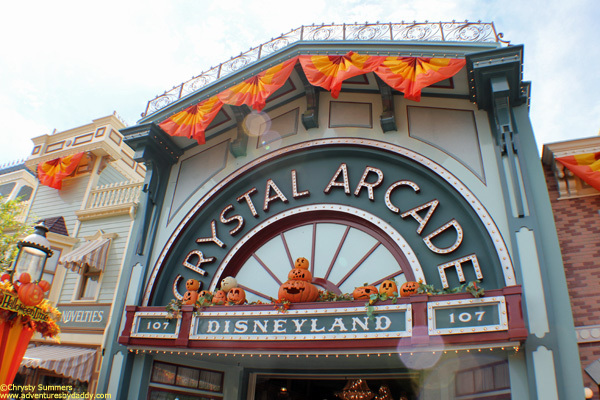 Like a witch on her broom, October is flying right on by, and that means Halloween Time is in full swing at the Disneyland Resort. As always, the park looks absolutely charming all dressed up in it’s Fall finest, and there is so much to see and do (and eat!) in celebration of the season. 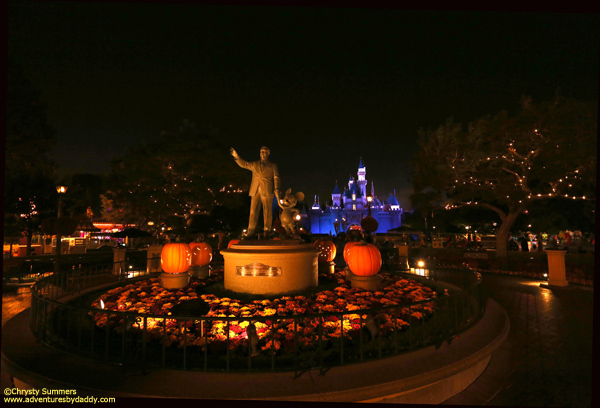 In years past, we’ve taken you on photo tours around the resort to see all of the gorgeous fall decor (click here to check out last year’s photo tour), along with an in-depth review of the after-hours, hard-ticketed event, Mickey’s Halloween Party (click here to read our review). 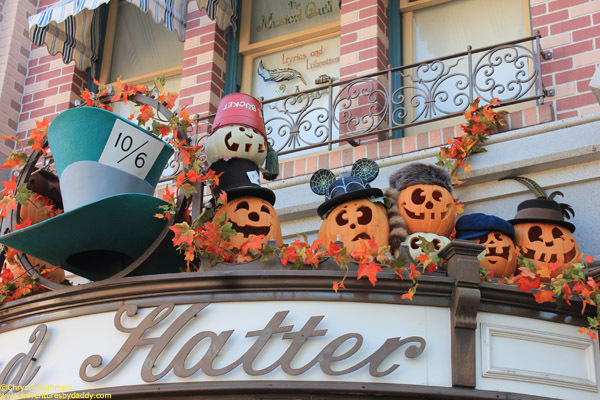 This year, we thought we’d change things up a little bit and share our top 8 must-do’s during Halloween Time at Disneyland (Why 8 you ask? Because we couldn’t select just 5). Please note that some of these experiences do require separate admission into Mickey’s Halloween Party, and will be noted as such along the way. So without further ado, everyone grab a broom and hop on – it’s time to catch up with that witch! 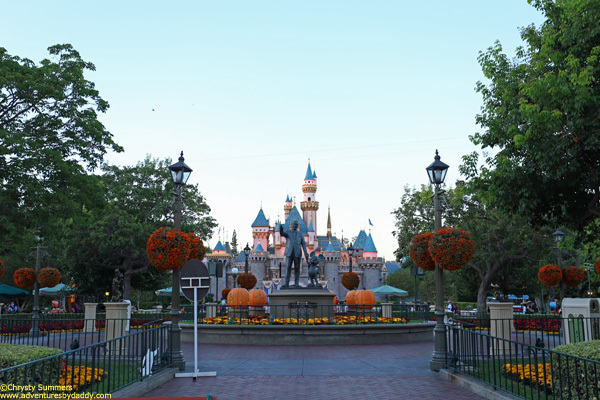 1) Pumpkin Festival: From the moment you enter Disneyland park, and continuing all the way down to the Hub & Partners Statue there are pumpkins as far as the eye can see. In fact, there are over 300 of them along Main Street, U.S.A! If you take a close look at the ones along the buildings, you’ll find no two are the same. Donald & Minnie are part of the Welcoming Committee as you enter the park. Each of the buildings are all gussied up in orange bunting, and the turn-of-the-century gaslamps are given the pumpkin treatment. 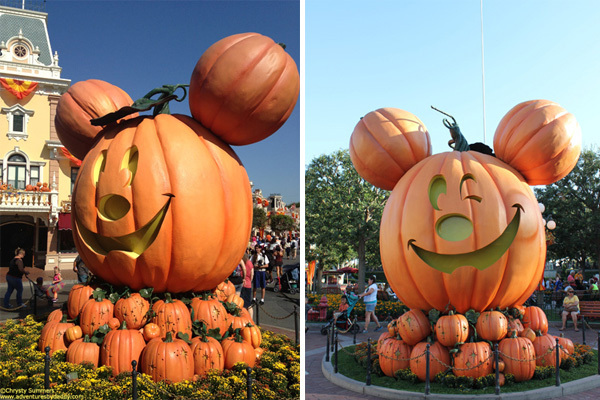 The larger-than-life Mickey pumpkin in Town Square smiles as you enter and winks as you leave! 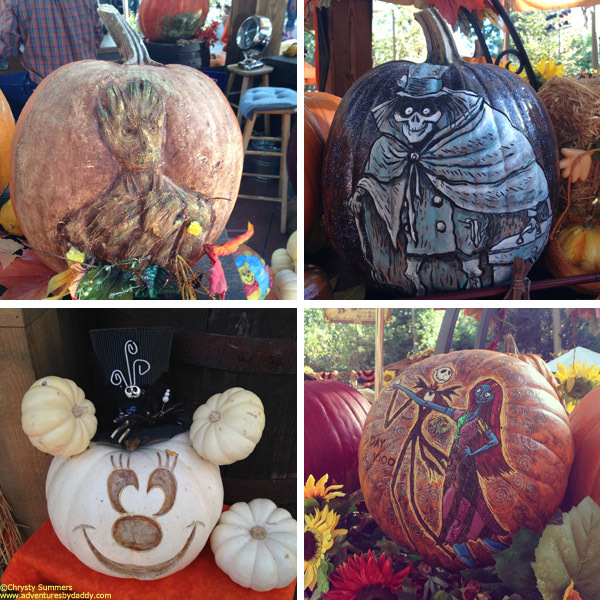 Just some of the festive eye candy found on Main Street, U.S.A.
2) Pumpkin Art: Hidden along a path stretching from Frontierland to Fantasyland is the Big Thunder Ranch Jamboree. 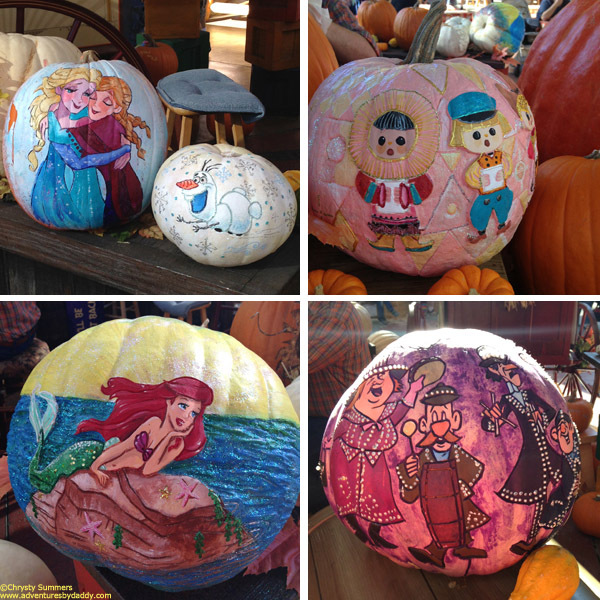 Back here you’ll find some very talented pumpkin carvers and painters hard at work, creating magical masterpieces right before your eyes. Here’s a peek at some of this year’s creations. 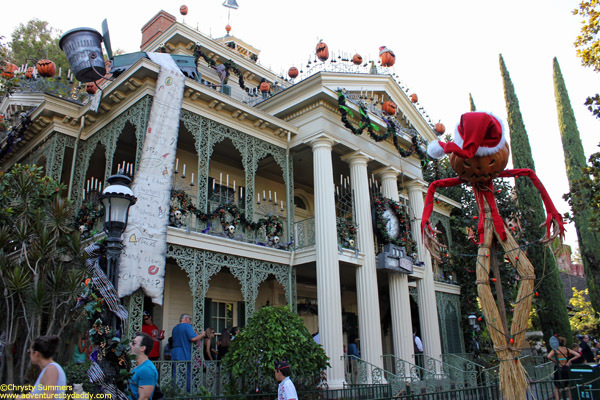 3) Haunted Mansion Holiday: Now in it’s 14th year, Jack Skellington and his pals from Tim Burton’s Nightmare Before Christmas have taken over the Haunted Mansion once again, merging Halloween with Christmas from September through December. Be sure to pay special attention to the gingerbread display in the ballroom scene, the theme is new each year and it smells divine. 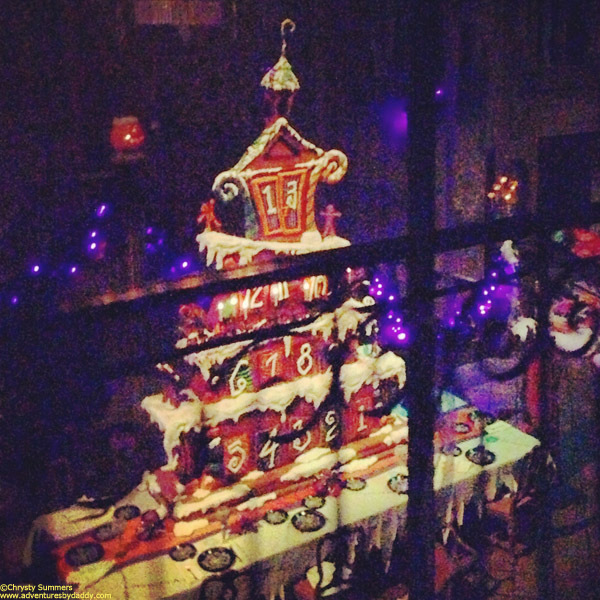 Last year’s gingerbread display was a creepy advent calendar. 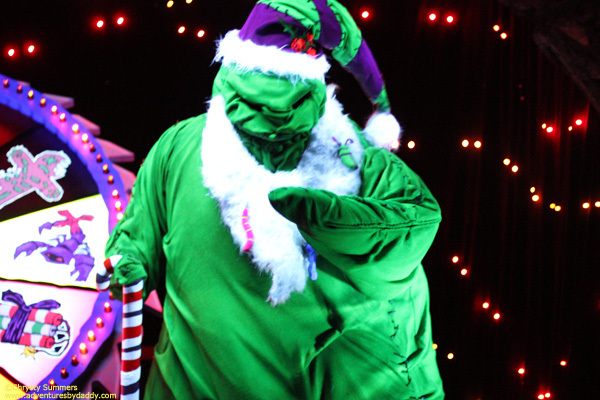 Oogie Boogie spins the wheel of Holiday Tricks & Treats. 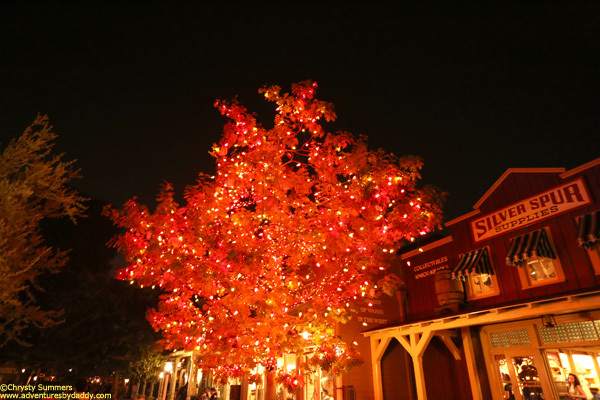 4) The Halloween Tree: In 2007, a resident oak tree in Frontierland was dedicated to writer Ray Bradbury, realizing his dream of having his symbol for the holiday become a part of Disneyland. During the day, it may easily go unnoticed, but after dark, the lovely orange glow will be sure to draw you in. Decorated pumpkins hung from the Halloween Tree with care. The tree is enchanting after dark. 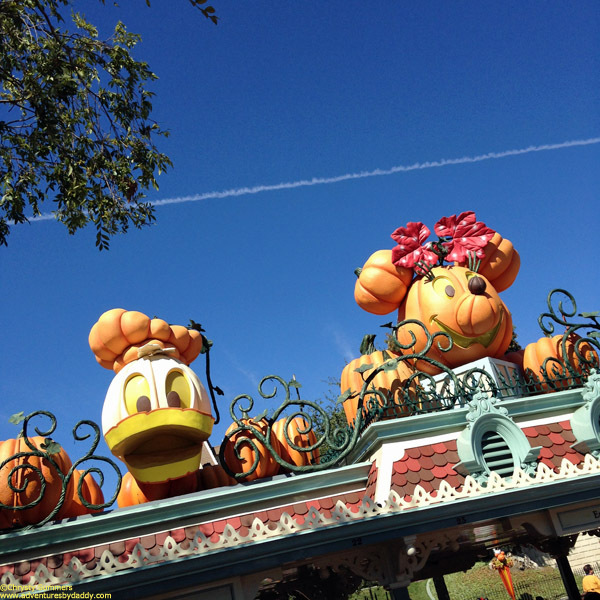 5) Spirited Characters: Meeting characters is pretty much on everyone’s to-do list when visiting a Disney park, but it’s especially fun during Halloween Time. During the day, back in the Big Thunder Ranch area you can meet Mickey, Minnie, Goofy, Donald, Pluto, and Chip & Dale, who are all dressed up for the holiday. There’s also a villain meet & greet back there where you go inside a circus tent of sorts, but you won’t know who you’ll get to meet until you step inside! 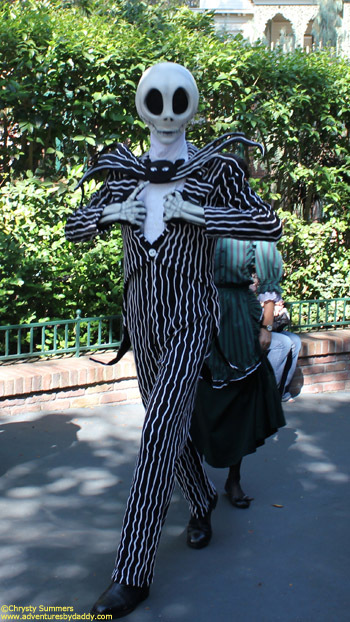 Over in New Orleans Square, Jack Skellington and Sally are visiting from Halloweentown, and they’re greeting guests near Haunted Mansion Holiday. This is just about the only time of year you’re able to meet them. Jack makes his way through the crowd to meet his admirers. During Mickey’s Halloween Party, there are even more character opportunities, but my favorites are the villains in front of the Main Street Train Station. Every 30 minutes or so they have a changing of the guard, so to speak, where they put on a show and arrive by carriage. It’s quite spectacular and you can see video and lots of photos in last year’s review found here. 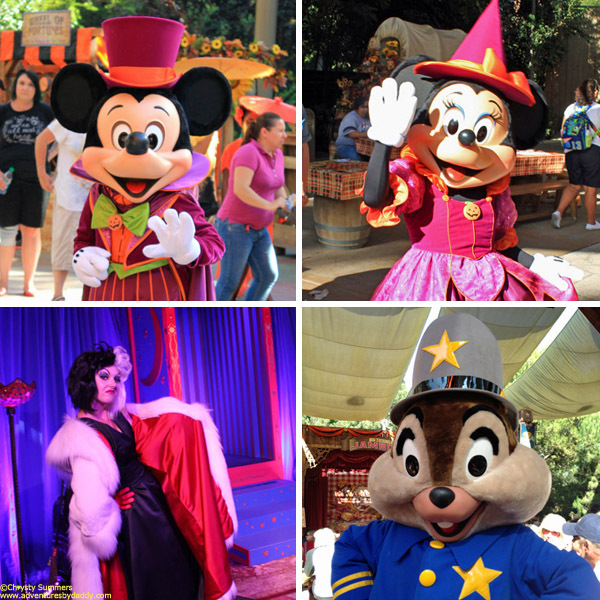 Another fun way to see your favorites at Mickey’s Halloween Party is during the Character Cavalcade, which is a parade showcasing the characters in their Halloween finest. 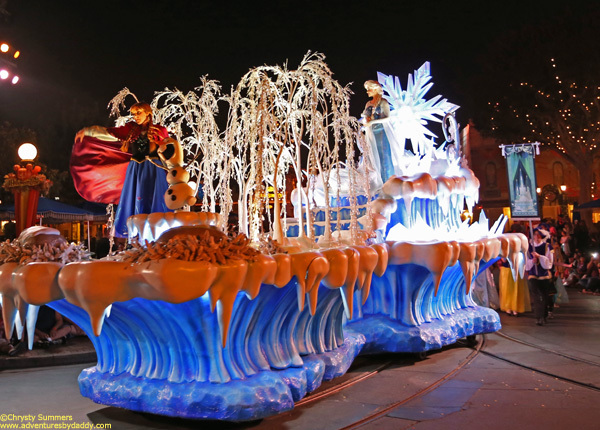 New to the parade this year are Anna, Elsa, and Olaf from Frozen. 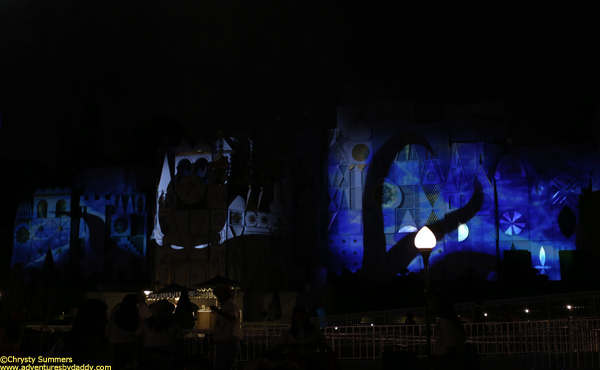 At the end of the night, the villains bid a final farewell and invite the guests to promptly leave Mickey’s Halloween Party. Anna, Elsa, and Olaf kick off the Character Cavalcade during Mickey’s Halloween Party. 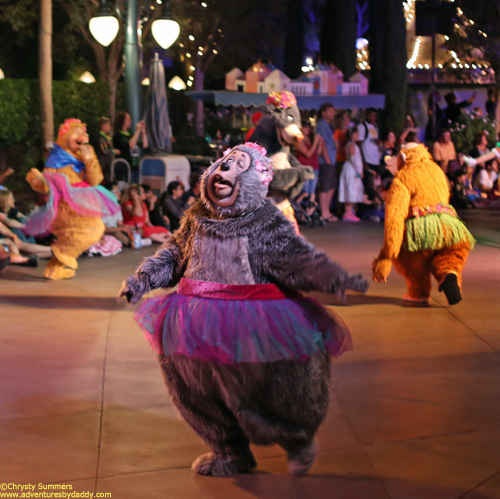 Big Al from the Country Bear Jamboree prances along in a tutu during the Character Cavalcade at Mickey’s Halloween Party. Well now, I’m just not sure it gets any better than that. 6) The Food: Bring your appetite, because there are delicious seasonal goodies to sink your fangs….er, teeth, into all around the resort! Most of the quick service restaurants will have a special seasonal entree and/or dessert on their menu, and there are lots of sweet treats all around the park. 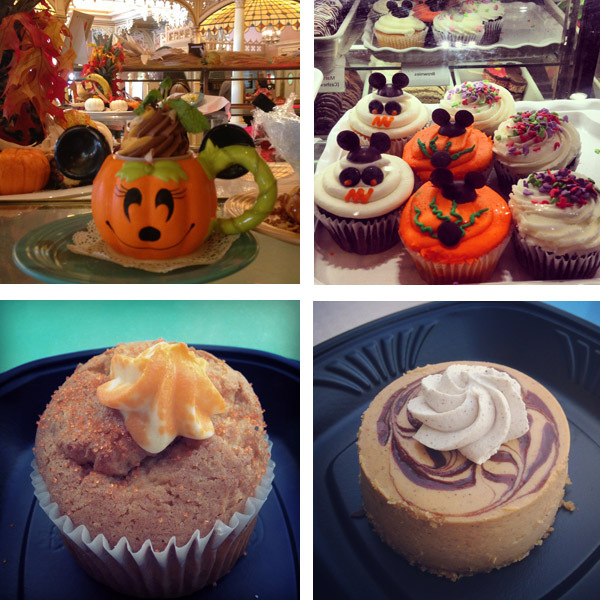 There are specially themed caramel apples, cupcakes, cakepops, Rice Krispie Treats, pumpkin muffins, pumpkin beignets, banana fritters, and even fresh, house-made pumpkin brittle! And that isn’t even listing every single thing. 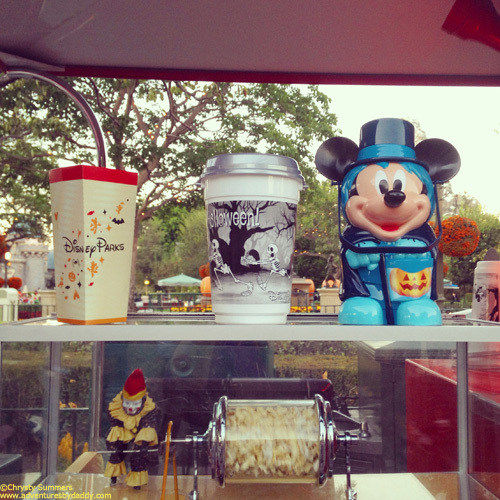 If you’re a fan of themed popcorn buckets, there are no less than FOUR to collect this year. 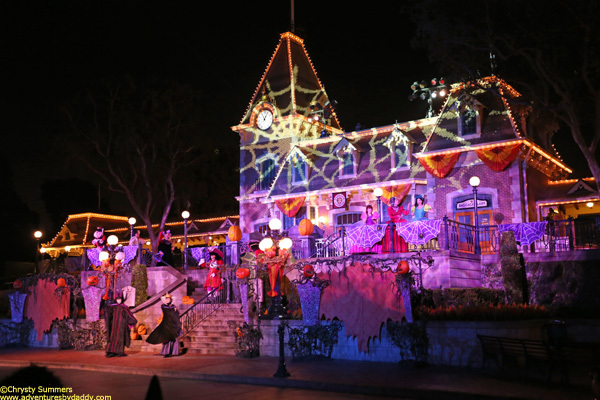 Oh, and let’s not forget about the trick-or-treating for those attending Mickey’s Halloween Party. We only hit half the candy stations and came home with over two pounds of candy! 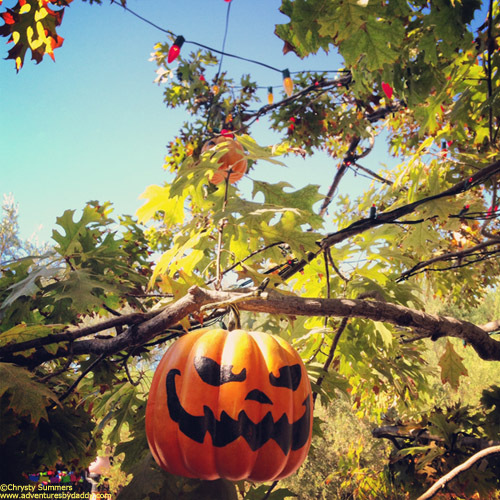 A small sampling of some of the seasonal treats found around the park. Two of the special Halloween Time popcorn buckets offered this year. Not pictured is Zero’s dog house (his nose even lights up!) and a limited Haunted Mansion 45th anniversary bucket. 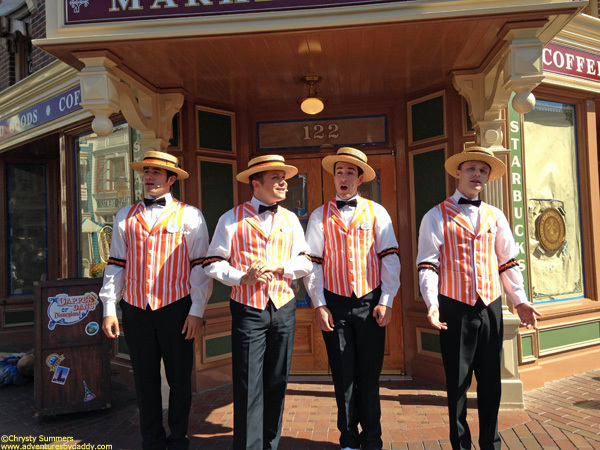 7) The Dapper Dans: Dressed in orange and black, they add a mix of seasonal songs to their repertoire, including “Grim, Grinning Ghosts” from the Haunted Mansion, “This is Halloween” from Tim Burton’s Nightmare Before Christmas, and “Headless Horseman” from The Adventures of Ichabod and Mr. Toad. 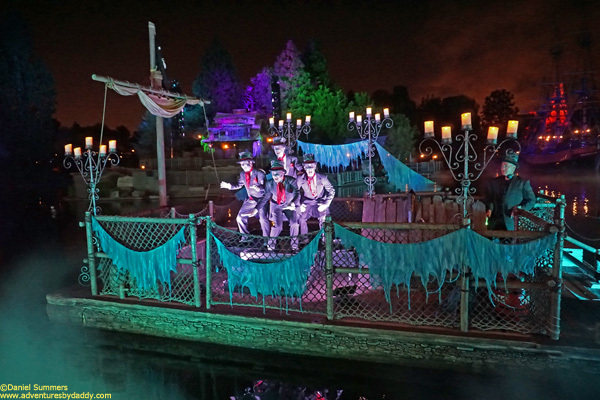 During Mickey’s Halloween Party, they appear as the Cadaver Dans, floating along the Rivers of America and it is not to be missed! We enjoyed it so much that we made sure we got to see them twice during the party. 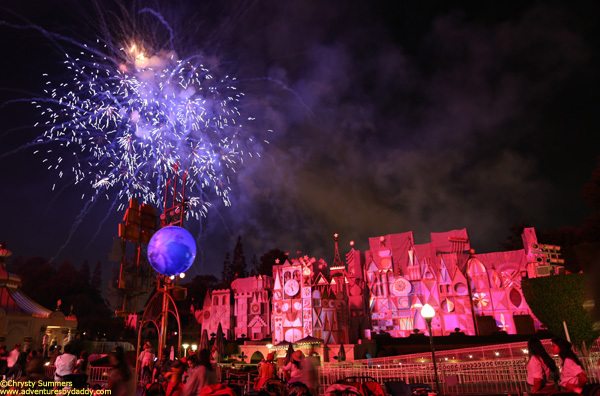 8) Halloween Screams Fireworks: This is exclusive to Mickey’s Halloween Party, but is one of the best fireworks displays we’ve ever seen in the parks. The show integrates quite a bit of projections, making it great to watch in front of Sleeping Beauty Castle, the Rivers of America (projected onto the water screens used for Fantasmic! ), or even It’s a Small World ( using the attraction facade). The villains take over the night sky, belting out their signature songs to perfectly timed pyrotechnics. It’s a definite must see! 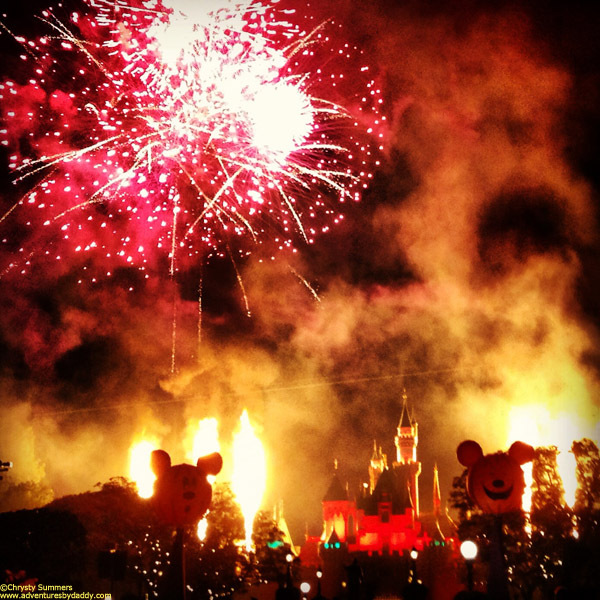 The villains appear to have set the castle on fire! Narrowing this list down was a lot harder than I anticipated. 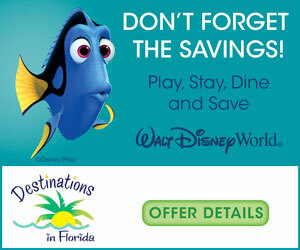 There are just so many not-to-miss experiences at the parks during this time of year! 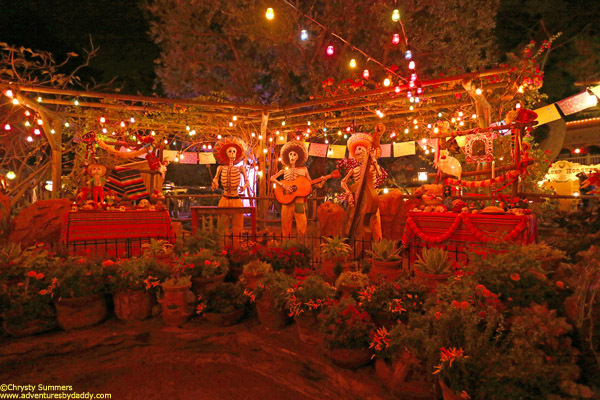 I didn’t even get to mention Space Mountain: Ghost Galaxy, the small, but lovely Dia de los Muertos celebration, the new magic show in Big Thunder Ranch, and something else I’m sure I should be listing right here. Okay, I realize I may be cheating a little at this point, but it’s just all so great that you really can’t go wrong no matter what you choose to do! Sorry you didn’t make the list, guys. Please don’t take it personal. It’s not you, it’s me. 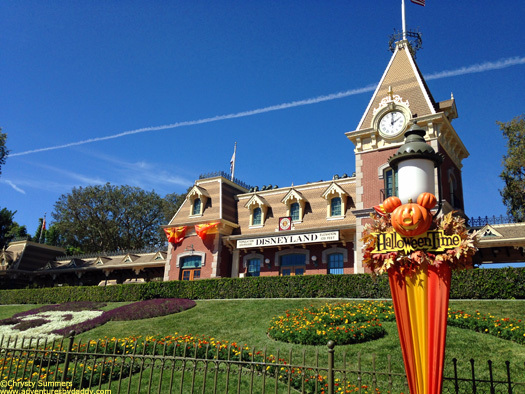 Are you planning a trip to Disneyland for Halloween Time this year? What are you most looking forward to? For more family travel news, reviews, and trip reports, be sure to follow Adventures by Daddy on twitter and “like” our facebook page too. Growing up in southern California, Disneyland has always been a staple for my family. Today, my husband and I spend most of our free time at the parks, where you can usually find us soaking up the atmosphere of Buena Vista Street in California Adventure. We also love traveling to Walt Disney World as often as we can, especially during the Epcot Food & Wine Festival in the Fall! Find me on Twitter @PenelopePeach for live updates from around the parks.